I think this is one of the most talked about food carts these days. Everyone rants and raves about it and when I posted a picture on Instagram and forgot to tag it, everyone knew where I had been. This cart has a bit of history that you can read about on their site. They were voted Portland’s #1 Food Cart the same day it burnt to the ground. They have made quite the comeback. 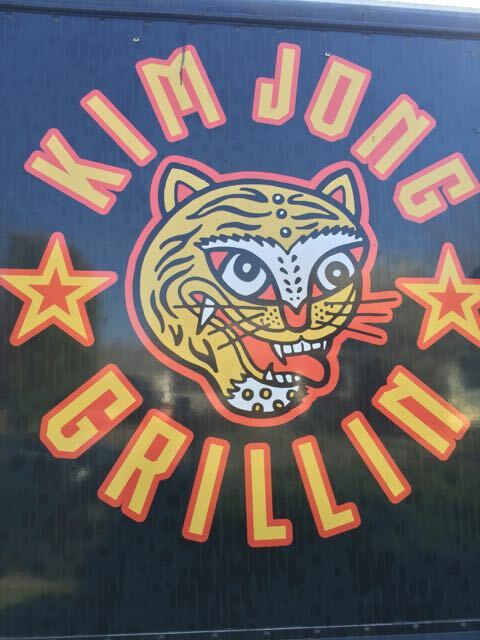 Kim Jong Grillin’ is cranking out some great food. The owner was super helpful and really nice. I love when cart owners take time to talk and share about their product and steer you in the right direction. 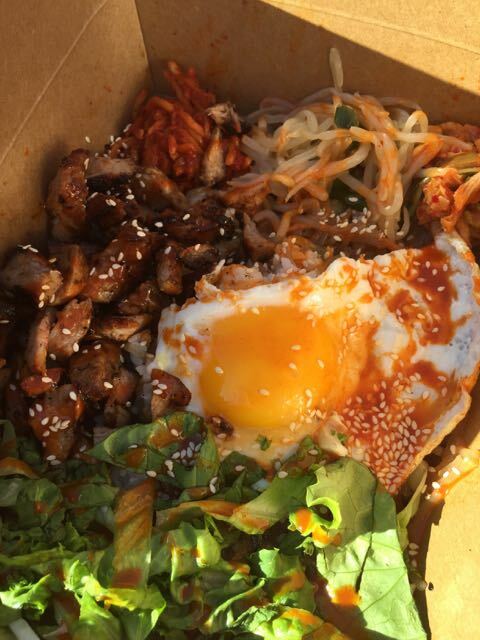 I ordered the Bibim Box which is a fried egg on top of rice, Japchae, chopped butter lettuce, house made kimchee, sesame sprouts, shizo kimchee and your choice of Korean BBQ. Spectacular!!! It is an explosion of flavor. If you would rather keep it simple, yet maintain tons of flavor you might like the other dish we ordered. 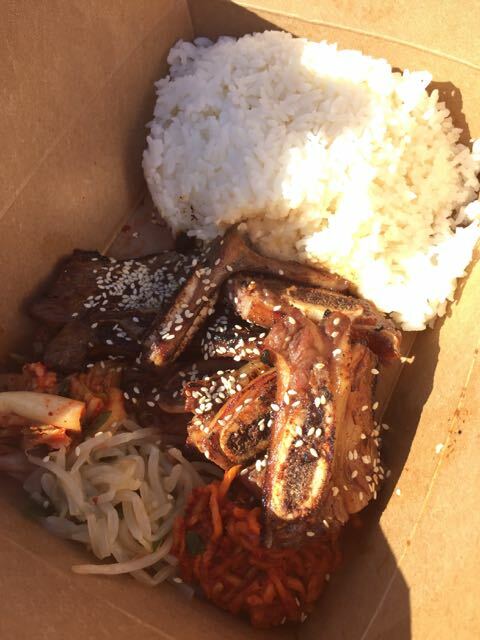 Korean Short Ribs were a “Must Have” menu item per the owners suggestion. We also tried the Grilled Korean Short Ribs. These are good with tons of flavor. My husband thoroughly enjoyed the Short Ribs. This dish is done simply and done well. Atmosphere is pretty sparse here at this food cart. There are no tables and if you choose to stay there you can either sit on the curb or stand and eat. Most people were just taking theirs away with them. 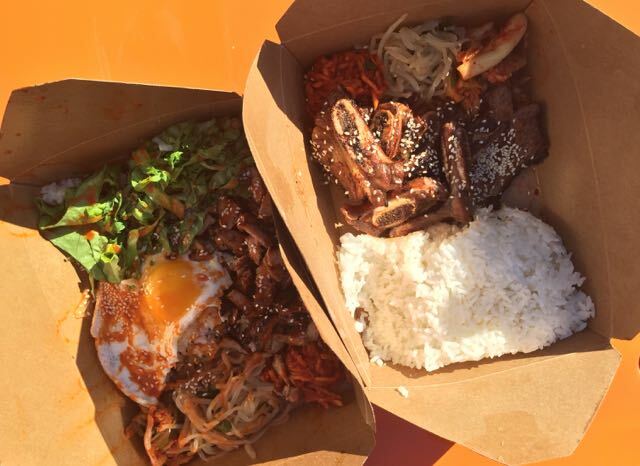 Pricing was $10 for the Bibim Box and $12 for the Short Ribs. Drinks included water and a few other drinks. Service was great. Loved the owner, such a great guy.